I've been playing with this for a while (I took it to North Adams this week as my only hardware instrument), and decided to treat learning this machine like I learned my modular: pick a thing, learn it deeply, then pick the next thing. I started with the Cluster synth engine, then the Delay effect - and so on. I've come to really respect the decisions that Teenage Engineering made - and stuck with. I'm sure that the temptation to make Shift-Click and triple-key combos was overwhelming, but once you learn a few things, you really can get up to speed quickly with other. Once I got the idea behind a couple of the synth engines, they all started making intuitive sense. I wish the LFO architecture was a little more flexible, but there is enough there to be super-creative (LFOs have the kind of constraint that push your creativity). I've got plenty more to learn - I've just started cracking the Sequences, and need to spend time on learning that Tape and Album systems, but I feel like I've got a great start. 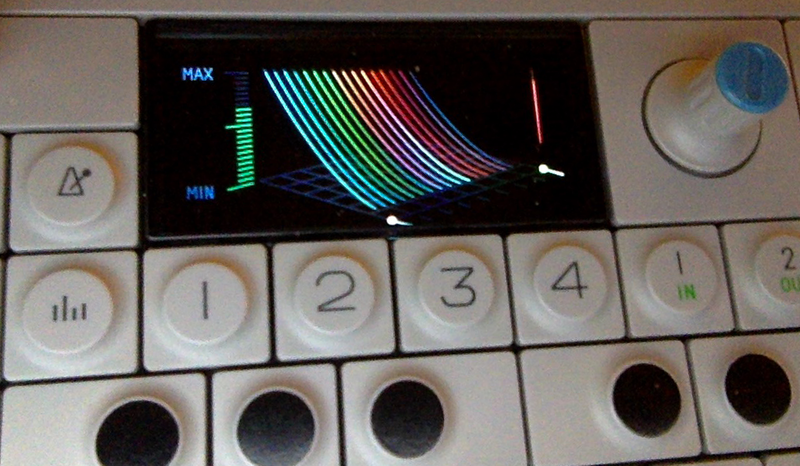 Oh, and the color-to-screen mapping? Brilliant in a way very few other devices have been even close to matching. Tape stuff is by FAR the most challenging for me, and the love sampling my favorite.